The rights-tech ecosystem is evolving continuously, and now, the RightsTech Project is evolving with it. Starting this month, the experiment that began with this website and the annual RightsTech Summit will expand to become a year-round networking, education and service organization open to all members of the rights-tech community. 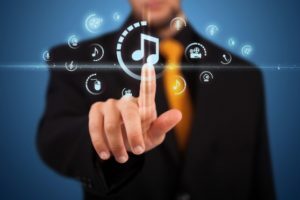 By joining, members will become part of a unique, cross-industry network of creators, media rights owners, technology developers, investors, and entrepreneurs working to find innovative solutions to the challenges of managing and monetizing copyrights on digital platforms. 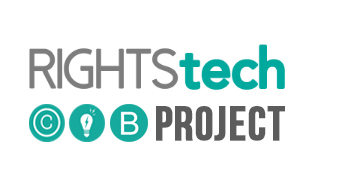 In addition to our e-news, website, and conferences, members will enjoy posting privileges to the RightsTech blog and online discussion forum, access to exclusive networking events, participation on our advisory board, and access to a wide range of business-to-business marketing services designed to help rights-tech entrepreneurs and developers reach more than 40,000 decision makers in the media, technology, and creative industries. 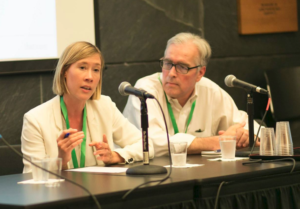 Members can also participate in cutting-edge thought-leadership and research initiatives aimed at educating policymakers, investors, and related industries about the evolving rights-tech ecosystem and its potential to unlock new sources of value for creators and rights owners. Three levels of membership means the RightsTech Project is open to enterprises of all sizes, from startups to Fortune 500 companies. Individual memberships are also available. Click here for more information on membership and on how to join. Copyright and technology have long been intimates. The first modern copyright law, the Statute of Anne in 1709, which invested authors for the first time with rights in their own creations, emerged out of a long struggle over regulating the use of the printing press, that technological marvel of the Renaissance. Before Gutenberg, poets and philosophers could earn renown for their work but rarely material reward. 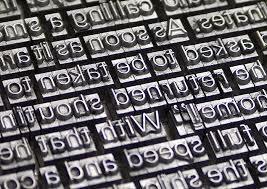 It took the technology of movable type to give rise to Droit d’Auteur. But like a lot of long-term relationships, it’s complicated. 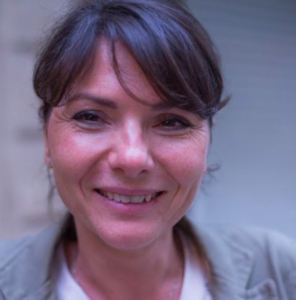 In the 300 years since the Statute of Anne, advances in the technology of communication have vastly increased the value of authors’ rights by creating new markets for their works while at the same time challenging their legal and statutory foundations, forcing courts and legislators to make repeated adjustments to the rules of engagement. Today, as Moore’s Law unravels the world set in place by movable type the need to reconcile rights and technology is more urgent than ever. Fortunately, just as the commercial logic of Gutenberg’s invention eventually yielded the legal concept of authorship, so, too, the algorithmic methods of digital networks could hold the key to giving renewed commercial substance to the insubstantial bits of logical data that today we call intellectual property. Or so we at the RightsTech Project believe, which is why we’re rolling out this new, revamped website. Machine-to-machine communication requires machine-readable inputs. Making even complex works of authorship machine-readable today is a routine matter, thanks to low-cost encoders and standardized formats and communications protocols. Information about that authorship however — who created it, when and where was it created, who owns it, what rights in it are they asserting, how can it be licensed for use — all-too often remains housed in non-machine readable catalogs and contracts, or gets stripped out in the hand-off, if it was reliably recorded at all. The problem isn’t simply a matter of missing metadata, although that’s certainly a big part of it. The problem is that the transfer of bits from machine to machine represents a transfer of value, especially when those bits refer to works of authorship. But without machine-readable means to recognize, account for, and remunerate that transfer of value the chain of interest from user back to author is broken. Fortunately, a growing number of entrepreneurs, technology developers, and creators themselves have lately turned their attention to devising those machine readable means. Some are already in the marketplace, others still on the drawing board. But the great project of restoring and preserving the chain of value in machine-to-machine communication is now well underway. We here at the RightsTech Project hope to provide a platform to chronicle, discuss, and advance those efforts. In addition to enhanced news coverage and analysis of rights-tech developments on this website, we will in coming weeks unveil a members-only forum where issues related to rights, technology, digital contracts and the law, registries, metadata, interoperability, and more can be discussed and debated. We will also be rolling out a full calendar of events for 2017, beginning with a full track of RightsTech panels and presentations at Digital Entertainment World in February. We’ve also opened a dialog with policymakers in the U.S. as they wrestle with possible adjustments to copyright law. 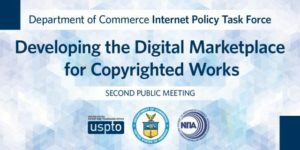 The RightsTech Project will be participating in a public meeting in Washington, DC, on December 9th hosted by the U.S. Department of Commerce on Developing the Digital Marketplace for Copyrighted Works. All RightsTech readers and supporting partners are invited to attend the free conference. So please join us on the journey. Check back here often, sign up for our weekly newsletter to stay abreast of all the RightsTech news and analysis, send us your comments, suggestions, and thoughts as we embark on this next phase of the RightsTech Project.